We are a volunteer 501c3 organization of dedicated therapy dog handlers and their dogs on a mission to share the unconditional love of fur therapy. MMTD’s goal is to provide training, support, and comradery for our therapy dogs and their handlers. These activities have included, but aren’t limited to, visits to hospitals (Children’s/VA and others, special needs centers, schools, assisted living homes, and airports (in joint effort with the Patriot Guard). Our objective is to form a support system of caring handlers who are willing to share their special dogs to bring unconditional love and smiles to people, young and old alike. Making joy for one, makes joy for many. 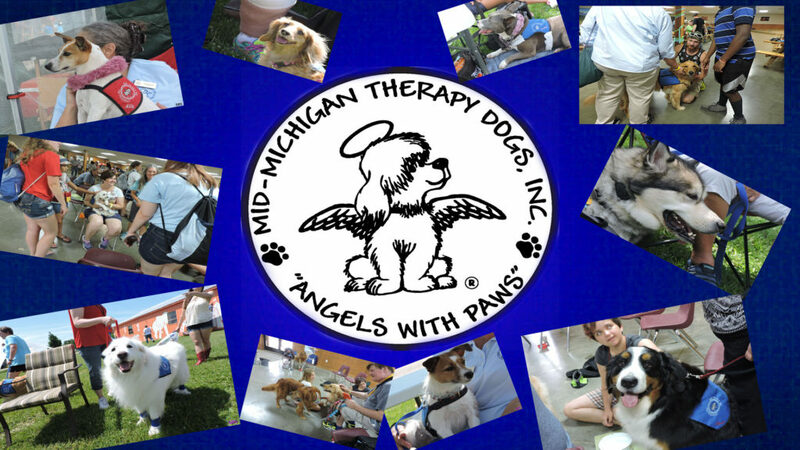 Mid-Michigan Therapy Dogs, Inc. (MMTD) otherwise affectionately known as “Angels With Paws” was founded in February 2005, by Carl & Lisa Jennings.The group started with 20 dogs and handlers. Today, MMTD has approximately 250 certified dog handlers and therapy dogs working in the field. 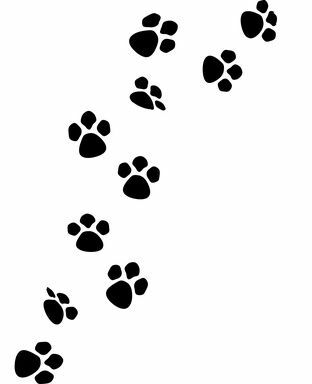 Mid-Michigan Therapy Dogs, Inc. is always looking for qualified candidates to join their organization.The need at facilities continues to grow every day, so consider adding your canine angel to our ranks. Therapy dogs can be any breed. They must be friendly, confident, gentle and at ease in most situations. They should enjoy being petted by people, especially children and the elderly. The dog’s main job is offering comfort, affection and encouragement. It’s a tough job, but they are more than willing to do it.